Businesses looking to save money will more than make up the investment they make in window tinting. Tinting office windows helps reduce energy costs by keeping out the heat of the sun. It also reduces glare without interfering with your employees’ and customers’ view. If privacy is an issue, window tinting can help keep out prying eyes. Interested in tinting your building’s windows? We travel to Stockton, Lodi, Galt, Tracy, and Modesto to help you with your project. All our work is backed by a lifetime warranty guarantee, and we guarantee customer satisfaction with our work, every time. 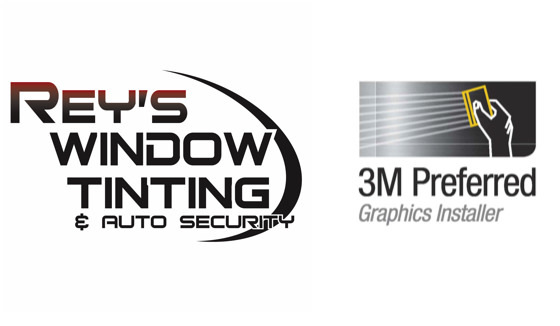 If you need commercial window tinting, stop by or give us a call today for a free estimate! Vanquish vandals with graffiti protection. Protect your surfaces against most scratches, acid etching gouges and tagging with Anti-Graffiti Film. Vandalism occurring during peak sales opportunities not only damages your image but may deter limited-time customers from giving your store a chance. Glass replacement would be costly and more disruptive, while Anti-Graffiti Film can be removed and replaced quickly, and without the need to remove your windows. Protect your windows with Anti-Graffiti Film so that signs of vandalism can be removed quickly, which can help you maintain your valued reputation. Break and Entry: Provides precious time by helping to deter unwanted individuals from entering your building protecting occupants and assets. Safety Glazing and Human Impact: Upgrade your glass to meet safety glazing codes* and help protect occupants from broken glass hazards. Please be patient while we finish building our website.